Broken Plow’s Kunst Des Fechtens program is based on the works of Johannes Liechtenauer’s students. Liechtenauer’s teachings were recorded during medieval times in the form of a mnemonic poem. His students penned explanations of what each line of the poem was intended to teach. Today, we interpret these works in order to recreate Liechtenauer’s system of defence. 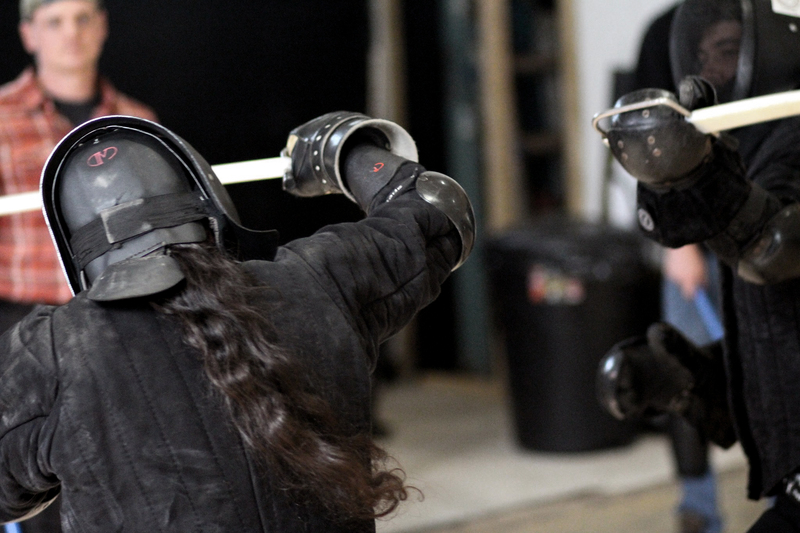 Fencing unarmored with the Longsword takes up both a bulk of this system and our study of it. 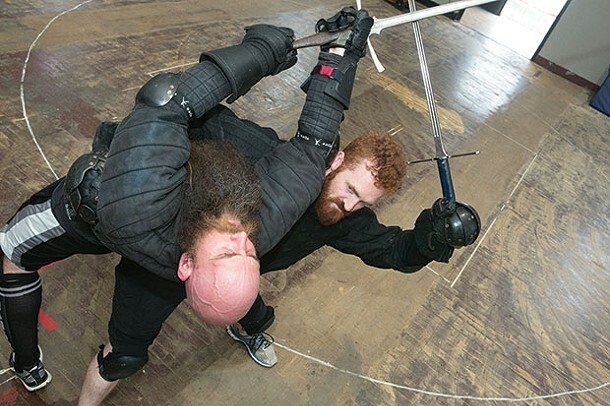 The system also includes wrestling, fighting in armor with spear, poleaxe, dagger, and sword, messer, and horsemanship. 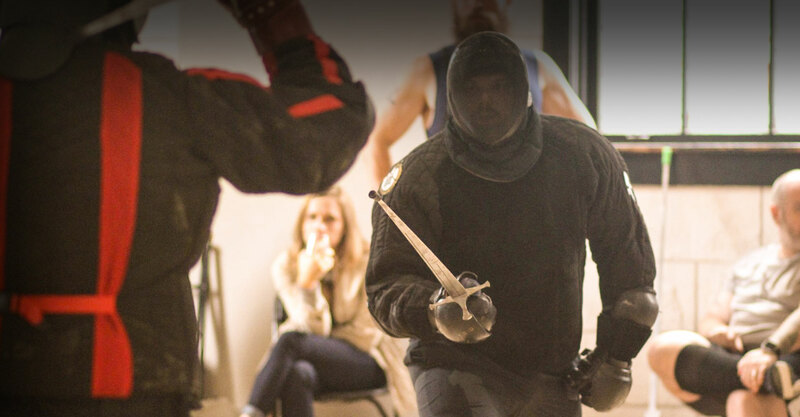 The primary focus of our KDF studies, our longsword common fencing program takes the basics learned in our Intro to Sword Fighting program and helps reenforce them through drilling, sparring, physical conditioning and study. Students will cover more advanced strikes and plays from the manuals. 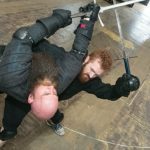 Our alternate weapons program covers the study of other weapon techniques covered in the various manuals including Saber, Ringen (medieval german wrestling), Dagger, Sword and Buckler, and Axes. Alternate weapon classes run for eight weeks with a new weapon chosen each cycle. 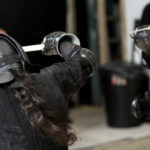 Students are eligible to take our alternate weapons class after they have completed the Intro to Sword Fighting program.